It’s hard to believe that the intestinal epithelium, the largest and most important barrier between our internal and external environments, consists of a single layer of cells connected by cell-to-cell junctions that seal the intercellular space. This highly regulated and selectively permeable barrier permits the absorption of essential nutrients, electrolytes and water, and effectively defends against toxins, foreign antigens and microorganisms. As well, it maintains tissue integrity, and receives and transmits signals that affect cell behavior. Constantly challenged by the gut microbiome, the gut barrier is crucial to maintaining tissue homeostasis. For a variety of reasons, this physical barrier can become compromised. Intestinal permeability, wherein the naturally tight cellular junctions don’t function properly, allows substances not normally released to cross over into the blood stream. Like other health syndromes, the debate continues as to whether this gastrointestinal disorder, sometimes referred to as ‘leaky gut’, is responsible for poor health. Increasingly, the association between disrupted barrier function and the development of autoimmune and inflammatory diseases has been recognized by the alternative and natural health community. The medical community at large insists there is not enough research to support the theory that leaky gut wreaks havoc within the body, which may result in a range of symptoms from fatigue, joint pain, skin problems, sleep disorders, irritability, food sensitivities and inflammatory bowel disease (IBD). Yet, other practitioners who diagnose leaky gut syndrome claim that a lack of adequate studies does not mean it does not exist. Per the National Institutes of Health (NIH), intestinal permeability is regulated by multiple factors including exogenous factors, such as pathogens, epithelial apoptosis (programmed cell death), immune cytokines and immune cells. Immune-induced intestinal barrier dysfunction is thought to be critical in the predisposition and exacerbation of many autoimmune and inflammatory conditions including IBD, food allergy, celiac disease and diabetes. As well, chronic alcohol consumption has been shown to be associated with increased intestinal permeability, as well as inhibition of vitamin and nutrient transport and a reduction in sodium and water absorption. While not fully understood, evidence suggests the mechanism underlying alcohol-induced barrier dysfunction is related to the influx of inflammatory cells, as well as the release of various mediators, including cytokines, reactive oxygen species, leukotrienes and histamine. Psychological and physical stress can induce a number of changes in normal gastrointestinal function that affect gut motility, permeability, mucous secretion and absorption, resulting in stress induced changes in intestinal barrier function. Long-term chronic stress is associated with an increased risk or worsening of ulcerative colitis and the exacerbation of irritable bowel syndrome (IBS), as well as functional gastrointestinal disorders. Increased permeability induced by stress is believed to play an important role in disease progression and relapse. Non-steroidal anti-inflammatory drugs (NSAIDs) are associated with a high incidence of gastrointestinal side effects. Substantial evidence indicates that chronic use can alter intestinal barrier function, causing significant damage including ulcers, perforation, hemorrhage and exacerbation of IBD. It has become evident that acute and chronic ingestion of NSAIDs by healthy persons promotes altered intestinal barrier dysfunction. In summation, dysregulation of the intestinal barrier has been associated with chronic immune and inflammatory diseases. High blood sugar, common in those with diabetes, obesity and other metabolic syndromes, disrupts the intestinal barrier leading to intestinal inflammation and systemic infection complications. Food allergies, pathogens, toxins, and bacteria, such as E. coli that causes food poisoning, can all alter intestinal barrier function. Whether the role of intestinal epithelial barrier function remains a factor in the predisposition for disease development, or disease results in barrier dysfunction, remains elusive. However, clinical and experimental evidence supports the role of intestinal epithelial barrier dysfunction in disease pathogenesis. 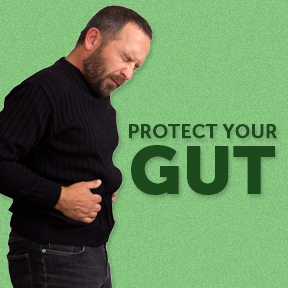 It’s clear that a vital indicator of gut health is the degree of intestinal permeability. Intestinal health is paramount for achieving and maintaining overall health and wellness, as nearly 80 percent of the immune system is housed in the gut. Immune health impacts inflammatory markers, a root indicator of chronic disease. The intestinal wall villi could be considered ground zero for inflammation and oxidative stress. Maintaining the epithelial barrier is crucial for decreasing permeability and reducing risks of associated health conditions. Well studied L-glutamine is a unique amino acid that provides an energy source for immune cells, as well as nutrition for villi health. Clinical studies have found that L-glutamine may reduce intestinal mucosal permeability, contribute to intestinal barrier maintenance and modulate immune cells, enhancing intestinal immune function. L-glutamine is thought to improve mucosal repair and address restoration of barrier function, helping to maintain the integrity of the gut and addressing a foundational cause of many health conditions. L-Glutamine Powder by Designs for Health®: This powdered supplement provides 3 g of L-glutamine per serving in support of the immune and digestive tract health. L-glutamine supports the healthy function of intestinal mucosal cells for normal healing and repair. Gluten free, Non-GMO formulation. Comprehensive Gut Health by Pioneer®: This professional product is formulated to provide nutritive support for gastrointestinal health. Specific ingredients support and soothe the intestinal lining and mucous membranes to protect the gut barrier. Verified gluten free. No artificial colors, flavors or preservatives. L-Glutamine 1,000 mg by Pure Encapsulations®: This hypoallergenic formulation provides 1,000 mg of free-form G-glutamine per serving in support of the mucosal lining and a healthy functioning gastrointestinal tract. Gluten free, Non-GMO vegan formulation. Restore Gut Health Mineral Supplement by Restore®: This premier liquid formulation is designed for complete wellbeing of the immune system and intestinal tract. Specific ingredients help to balance gut health by combatting environmental exposures and creating a healthy microbiome for good bacteria to grow and flourish. Naturally gluten free, BPA free, non-toxic formulation. Leaky Gut Wellness by Bio Nutrition: Leaky Gut Wellness is formulated to provide bowel, gastrointestinal and digestive stress support. Specific ingredients support the maintenance of a healthy mucosal barrier and aid nutrient absorption for overall wellness. Free of gluten, yeast, corn, sugar, starch, salt, milk, preservatives and artificial ingredients. Stress Suppress by Diamond Formulations: Stress Suppress provides specific ingredients known to support healthy levels of calming neurotransmitters that enhance the body’s ability to cope with stress, elevate mood and support relaxation. 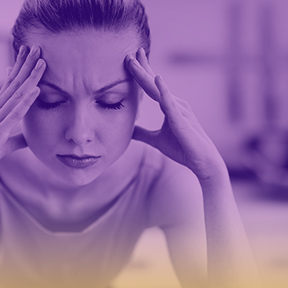 Stress Suppress aids the body in returning to homeostasis by encouraging balanced stress and inflammatory responses, providing nutrients to improve symptoms of stress and supporting a general sense of wellbeing. Free of wheat, yeast, soy, gluten, animal or dairy products, fish, shellfish, peanuts, tree nuts, eggs, and artificial colors, artificial sweeteners and artificial preservatives. Non-GMO kosher formulation.